To compile our list of the most valuable 1970s baseball rookie cards, we took realized eBay prices of Topps cards. Many players also have O-Pee-Chee versions that are nearly identical. To keep all conditions equal, rankings were determined based on sales averages of cards graded PSA 8. Using this point of comparison led to some big surprises. A couple of Hall of Famers didn't make the final cut while several less-recognizable cards not only made the list, but finished near the top. But numbers don't lie. 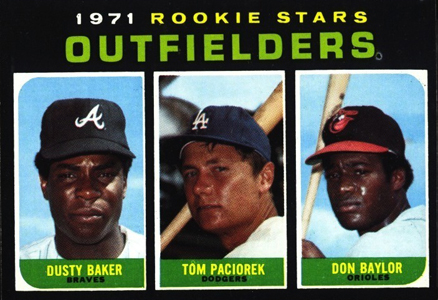 Here are the most valuable 1970s baseball rookie cards, starting with #17. Also, be sure to check out our database of 1970s baseball card sets for more in-depth information about the cards produced during this era. 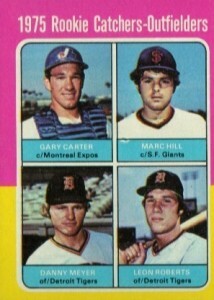 Like a lot of rookies from the era, Gary Carter is pictured alongside several other players. The Hall of Fame catcher is surrounded by three other players that didn't amount to much. So while it's still a fantastic card of an all-time great, many collectors are still probably wishing that Carter were given the same single-player treatment George Brett and Robin Yount got in the same set. 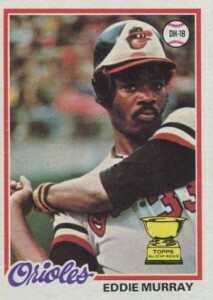 Although one of the best hitters of his time, Eddie Murray failed to reach the hobby's elite. Sure, there are plenty of collectors who passionately go after his cards and memorabilia, but he's not held in the same regard as other players on this list. Rice's situation is much the same as Carter's: greatness surrounded by players who weren't so great. The result is a card that's not as valuable as it might have been. 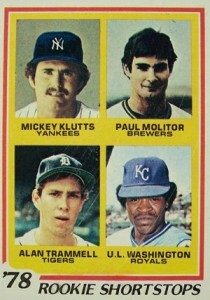 The 1978 Topps Paul Molitor rookie is a rare instance where a Hall of Famer is paired with at least one other standout. In this instance, Molitor has Alan Trammell to keep him company. It's not an ideal scenario for both, but it's better than it could have been. 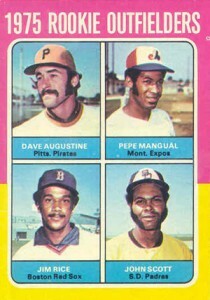 1974 marked the first time Topps went for one large release instead of several smaller ones. 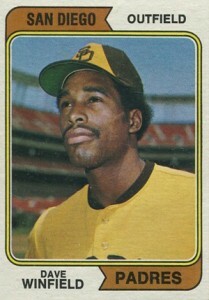 The key card in the set is the Dave Winfield rookie card, who would go on to be one of the best hitters of the 1980s. When it comes to the value of baseball cards, players aren't the only variables. 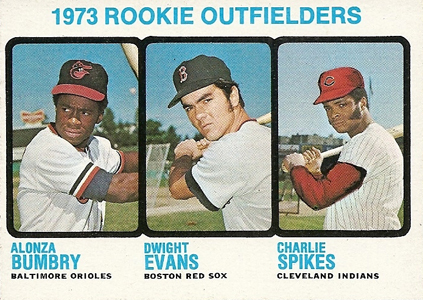 In the case of the 1973 Topps Dwight Evans/Al Brumby/Charlie Spikes rookie card, rarity trumps the players on it. Evans is the key player on the card, a beloved member of the Boston Red Sox. 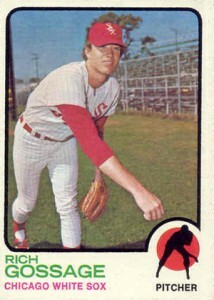 It took Rich "Goose" Gossage a while to gain the hobby's respect. But the moment he was elected to Cooperstown, that all changed. Coming from the early part of the 1970s, age also comes into play as far as value goes. Relievers have the hardest time winning over collectors. Dennis Eckersley is one of the game's exceptions. His long career, impressive stats and key place on the dominant Athletics teams of the late-1980s and early-1990s, make him one of the few closers to win over the hobby. One of the most electrifying fielder's the game has ever seen, Ozzie Smith translated highlight plays into a Hall of Fame career. His cool demeanor has also helped solidify his status as one of the game's most popular players. However, looking at his rookie card, it's strange not seeing him in his Cardinals colors. 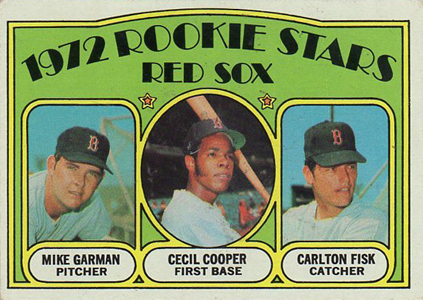 Judging by the player placement, it looks like Topps had higher hopes for Cecil Cooper than they did Carlton Fisk. If that were the case, how very wrong they were. 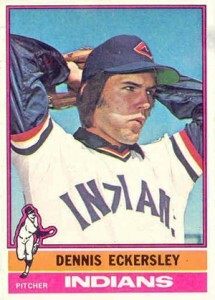 The art deco design of 1972 Topps is one of the most distinct of the decade and the Fisk is the best rookie in the set. 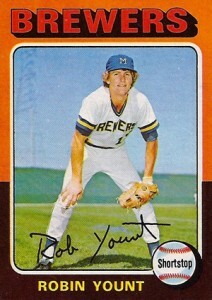 There's not much to say about Robin Yount's rookie card other than it's a classic, just like the Brewer's career was. The memorable design and solo portrait make it one of the most iconic cards of the 1970s. Right now, you're probably scratching your head. 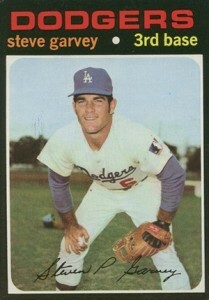 Sure, Steve Garvey was the 1974 National League MVP and a ten-time All-Star, but why is his rookie card worth more than so many Hall of Famers? Try finding one in top condition. Then you'll find your answer. There was a time at the end of their respective careers that the George Brett and Robin Yount rookie cards held similar values. However, as more time passes, the hobby has nudged the Royals legend ahead. Brett is one of the lucky few players to have a solo rookie card. 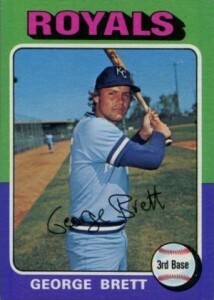 The 1975 Topps George Brett is one of the most instantly recognizable cards from the 1970s. If you took a poll at your local card shop, most collectors would probably take a George Brett rookie over a Don Baylor/Dusty Baker combo. But the combination of the card being a short print and those nasty black borders make high-grade copies extremely valuable. Although Thurman Munson's life ended tragically, his legacy and status as a beloved Yankee lives on. 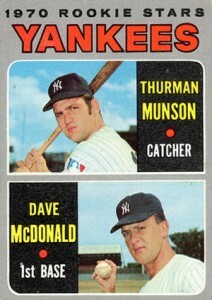 His rookie card has him pictured alongside Dave McDonald, a first baseman who drove in a total of six runs during his career. And while Munson's rookie card holds strong values, it's worth noting that his second-year card actually sells for much more thanks to its condition sensitivity and iconic photo. One of baseball's all-time greatest slugger's, Mike Schmidt was also one of the most popular players of his era. One does have to wonder what heights his rookie card might have reached if he were on his own. 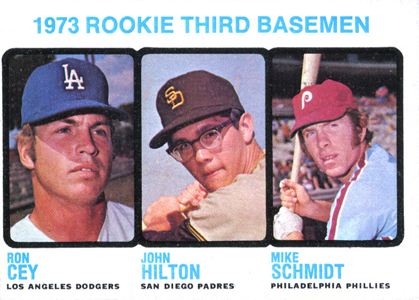 While Ron Cey was no slouch, it still takes away from the Schmidt's mystique. You didn't see that one coming, did you? 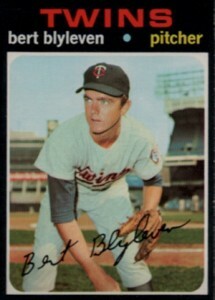 Although a Hall of Famer, there are several players on this list who are better than Bert Blyleven. One could even make the argument that the majority of players on this list are more widely collected than the pitcher. 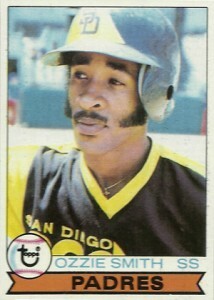 Yet, here he is, atop the list of the most valuable rookie cards of the 1970s. As stated earlier, to make things equal, cards were ranked based on prices of PSA 8 cards. The black borders make 1971 Topps one of the toughest sets to find in top condition. As a result, those that are command massive premiums because they're so rare. How about 1977 Topps Dawson Rookie? michael (ID 62436) � It’s a great card but when I crunched the numbers it was just outside. It would have been there on a top 25 list. I respect (your making this list) but I heartily disagree with it. Also, my definition of a RC differs from yours drastically. I firmly believe a list of player’s 1st solo card would be FAR more interesting (and valuable). Hi,I have a couple factory sealed &1 half sealed box of 1971 TOPPS BASEBALL CARDS,I have not ever opened them to see what is inside but think now with their being 43 years old I can put them up for sale,is there any place around me that you might recommend to look at them and give me a honest estimate on them or should I just open them, place them in holders, take their pictures,download then attempt to sale them on the internet? Should I leave them unopened or open one to check them out?How should I do these to bring me the best value?I am within driving distance of WACO ,FT. WORTH , ARLINGTON &DALLAS TEXAS.Thank You for your advice. I have collected many 77s and 78 cards back in the day, including some of the ones you list here, and handled very few times. I’m considering selling them. Is there someone in Omaha NE that you would recommend would evaluate and give fair price for them. I have double Rookie card of Ken Griffey 1973 and ken Griffey Jr. in plastic. I have a couple of these cards but they are not certified,.